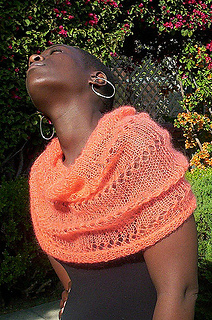 This pattern is currently not available but if I do reissue it I will definitely offer it here on Ravelry! 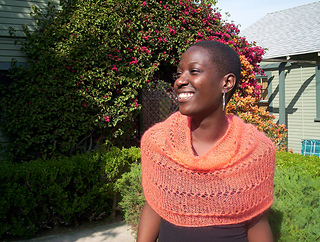 I’ve made this capelet for so many of my friends. 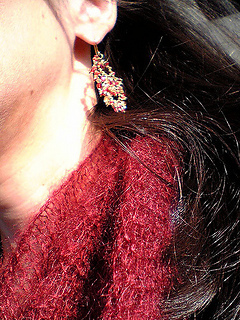 It feels amazing (love mohair/silk!) and is a great summer evening coverup. I also wear mine as a cowl on colder days. The project works up quickly, knit in the round using just 2 balls of Knit One, Crochet, Too’s Douceur et Soie or Rowan’s Kidsilk Haze, and uses a simple yarn-over pattern for interest.